Daniel Secomb - Bible Teacher | Bringing you fresh insights from God's Word. Bringing you fresh insights from God's Word. Is religion really the greatest cause of all wars and atrocities? Which worldview is responsible for the most suffering wrought upon mankind? Most atheists attribute religion as being the most detrimental obstacle to world peace, but is this really the case? We are certainly living in a time where truth is being suppressed on a massive scale. Right across the West, we are systematically being dumbed down as a result of the media, technology, entertainment, and the educational institutions. It’s been 200 years since the birth of Karl Marx, yet even after a blood soaked century due to his influence, he has never been so popular. Both the Left and Islam changed their tactics against the West from military confrontation to subversion from within—and it’s worked a charm. The Left come across as having the best intentions for the Aboriginal Community, but it is just a smokescreen for their Marxist agenda. Why Does God Seem To Hide Himself? It would have to be one of the most brought up topics by atheists. If God is real, why does he seemingly make it so difficult for non-believers to know that he is there? Considering the period covered from Ignatius to Augustine is only the first four hundred years of Church History, I believe it is still sufficient in helping us to understand current attitudes that the Jews hold toward Christians and vice versa. One of the key arguments from opponents of Christian Zionism is the argument that Christian Zionism has only been around for the past two hundred years. But as we shall see, Christian Zionism has been a recurring theme throughout church history. 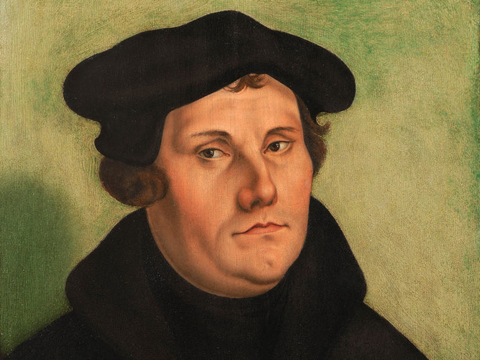 Martin Luther is celebrated as one of the greatest church fathers and the father of the Reformation, but what you probably didn’t know, was the dark side of Luther who had a vehement hatred of the Jews. Welcome to the Bible teaching ministry of Daniel R. Secomb. Much of the moral breakdown and increase of wickedness in the West is due to the suppression of truth and the dumbing down of the populace. Daniel's teaching covers Christian living, theology, end times, systematic Bible studies, Israel, the Jewish People, apologetics, creationism, atheism, Islam, the left-wing agenda and social issues.